Put away all pretense. Hear the echoes of my salvation. Come up to me and tell me everything you are afraid to. Rest here, like a child in their mother's arms. Come with me and rest. I am doing something expansive and beautiful inside of you. Let me. Do not focus on the behavior of others. Let me change you. Let me mold you into someone who benefits those you love. If you desire to see Me in those you love, ask Me. If you desire anything, ask Me. Stop trying to use techniques to speed your journey to holiness. Ask Me. Ask. I give out the fruit that you crave. I give it out to you and your children. Ask Me. I long to lavish love on you and remind you of the beauty I have given you. I long to be with you. Put away the trappings of church and employment and popularity and enjoy me as I AM. Enjoy me, Beloved. Come near. To find out more about this weekly segment, see this post. When I first started wanting to review books and music, I would search the web for other reviews and see how people went about the reviewing process. Most of what I found was boringly long, technical, and didn't make me want to read or buy anything. If you are wanting to know this kind of thing, I will ask my husband for you. As for me, I don't care. What I care about is if it told a story. Did it make me yearn to sit at the feet of God and enjoy Him? 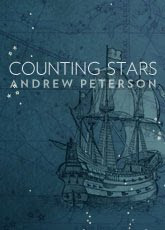 I must confess that I have not listened to Andrew Peterson before now. It is a shame. I loved this album. It made me want to curl up in my rocking chair on the porch, coffee in hand, and just enjoy God's creation. 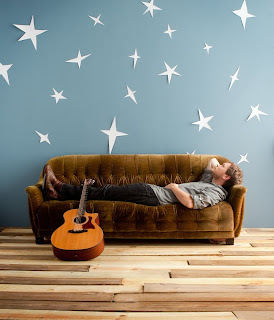 His mellow, folk story style made me feel at home. In fact, I think he might have a little bit of Austin, Texas flair in him. Reading about the stories behind each song was deeply stirring to my spirit. Mostly, I loved watching him talk about the making of the album in this video. 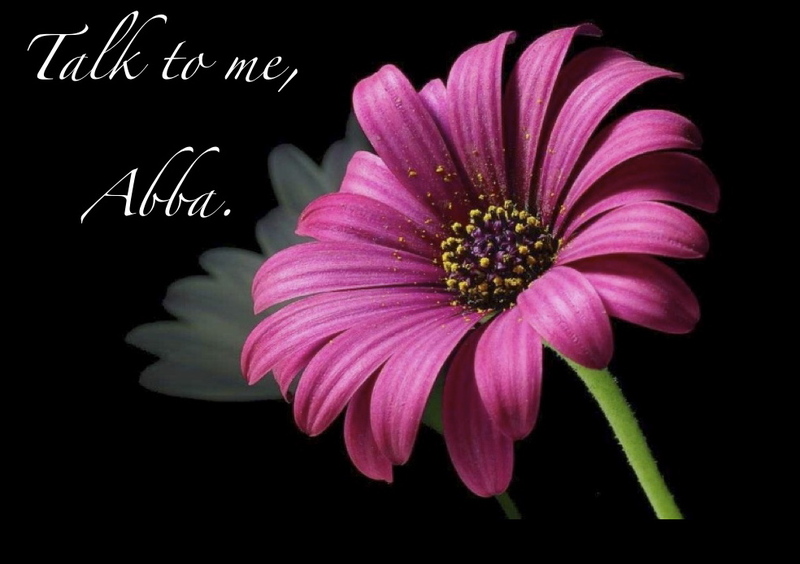 His natural posture of intimacy with the Lord was very beautiful and refreshing to me. 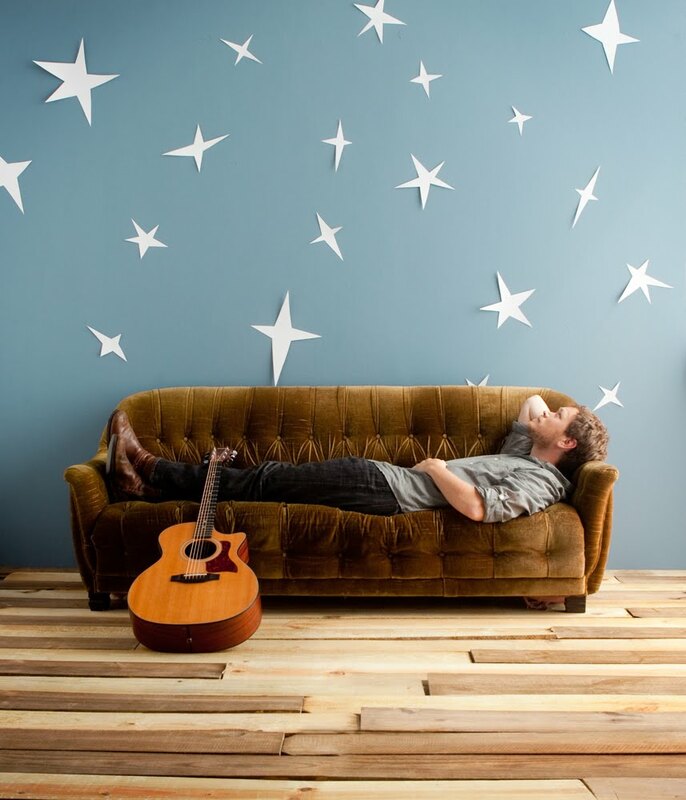 Counting Stars comes out July 27th! Get it on iTunes. This album was provided by Centricity Music for review. For some time now, God has been teaching me to listen. Carefully and tenderly, He has taught me to distinguish and know His voice. I have read many books written with the authors simply listening to hear God speak to them and record what He says. I often sit with my Bible, my journal, and a stack of note cards to record anything God may have for me or anyone else. I have honestly been amazed at what has transpired in these times. He has clearly told me things before they happened and given me a window into how to pray for and encourage others in ways that human reasoning cannot explain. That is the beauty of it. God desires to speak to us. He desires to send messages through us to people in such a way that they will know that there is no other way that the message came, but the voice of God. I challenge you to listen with me. Isaiah 48:6 tells us that from now on God will tell us new things, hidden things which we did not know. He wants to reveal Himself and bathe you in intimacy. Each Tuesday, I will post this segment on this blog. Other days I will post book reviews, music reviews, and random thoughts. I hope you enjoy learning to listen with me. "You belong to me. I will fiercely protect you and guide you through every dark corridor. You are alive. You are free. Although you feel as though your wings have been clipped, it is a lie. Your wings have not been clipped. Listen to me. Your wings have not been clipped. The enemy has deluded you into the thinking that you are no longer capable of flight, but he is a liar. 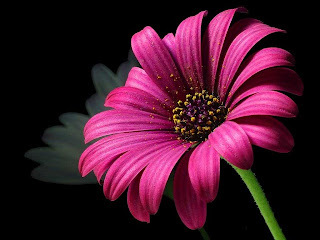 Don't ask me to regrow what I did not allow him to steal from you. Look, even now, and see the bold, brilliant wings I have given you. Quit sulking and prepare for flight. Do not gaze upon the lack of love from others who claim to speak in my name. Wrap yourself up in this love, my love. Love back. Heal. Forgive. Cry out. Burst forth. Do not deny me. Fly with depth and intensity...in the plenitude of my power." Come back to listening to only My voice. Over a hundred years after his death, the life and faith of George Müller still ministers to me. I am constantly challenged and exhorted by his testimony. His father sent him to seminary hoping to secure a good job that would provide for him (and his father and mother). The irony there is that George was an unconverted sinner who was reveling in debauchery and sin sick. He converted his life upon seeing someone genuinely praying upon their knees. After this conversion, he saw the beauty and joy of prayer and gave up his regular salary and simply prayed for his every day provisions. In his journal he states that he would pray and money and food would simply show up. It tells that God answered more than 50,000 of his simple requests for daily provision. He prayer focused to building several orphanages which housed thousands of children. He also traveled and shared his faith to 42 countries up until he was 93 years old. He stated that he read his Bible more than two hundred times in his life and that one hundred of those were on his knees. What an amazing picture of a tender yearning to hear God speak. 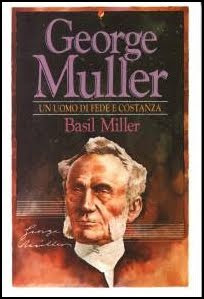 Simply through prayer and never through public plea, this man of God was given millions of dollars in the 1800's. His life and testimony is fascinating. May you be challenged to pray and expect God to answer you. The new leather edition of Jesus Calling is beautiful. In it, we see Sarah Young who has spent several decades as a missionary to the Japanese, open her heart to hear from God. She would sit down with a pen and a journal and wait for the Lord to speak with her. This book is the fruit of that labor. It is full of the lavish love and wisdom of of a Father poured out on His child. Honestly, when I first saw this book, I overlooked it. I thought the title made is seem cheesy. 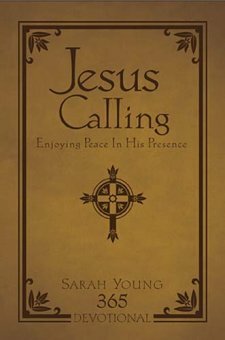 I had no idea who Sarah Young was or anything about her. I thought this was another cutesy book on the Christian book shelves. Then, God told me to read it. Even as the book arrived in my mail box, I could feel the Holy Spirit calling to me in it. I have been trying to cultivate a similar practice into my own prayer life. As we listen to the Lord speak to us, He reveals beautiful things and messages of depth and tenderness. Each day I read spoke volumes to me and ministered to me as a mentor of sorts. Her story of coming to Christ in the intro of the book is worth the read all on it's own. Do you want to cultivate a more intimate relationship with the Lord? He longs to speak to you. Pick this book up and learn to listen. This book was provided for review by Thomas Nelson Publishing Company. "In the story of the prodigal son the act of asking for inheritance while the father is still alive is shocking. It implies a wish that the Father was dead. It would have shocked Jesus' audience. No Middle Eastern father would have been expected to forgive the offense of such a son. We can see in this how shocking God's acceptance really is. We tend to think of sin as an infraction of the rules. The story Jesus tells makes it clear that our own sin is not just an infraction against a set of laws, but a terrible offense against God, our loving Father. By taking the good gifts we've been given- our time, money, talents-and running away to live life our own way, we are acting like the prodigal who turns his back on his father, sells the ancestral lands, and the squanders his inheritance. It is tantamount to wishing God were dead. We see Jesus live out this parable and playing the part of the loving father when He dines with tax collectors and sinners. This is something no self-respecting rabbi would be expected to do." I have been amazed at how seeing the Jewishness of Jesus could bolster my faith. I am sure you will hear from me about this book many times in the future. When we see the Bible in the context of it's Jewish origin it becomes amazingly clear. I highly recommend it. This book was provided for review by reader Christine Fahs. Thanks Christine!